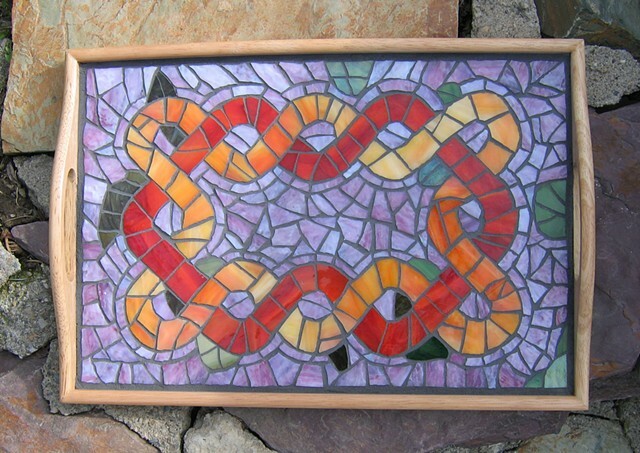 Celtic knots are a very popular theme for mosaic artworks, especially in the U.K. For my own tea try, I tried y my hand at a simple braid. The leaves tucked into the braid give it a natural look. This is one of those pieces where the combination of purple and orange is magical. Not available, but I would do a commission based on your favourite colours for you.